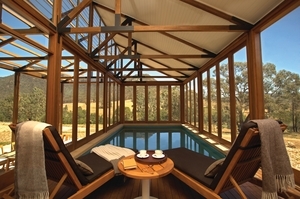 This popular luxury vacation that takes you all over Australia. 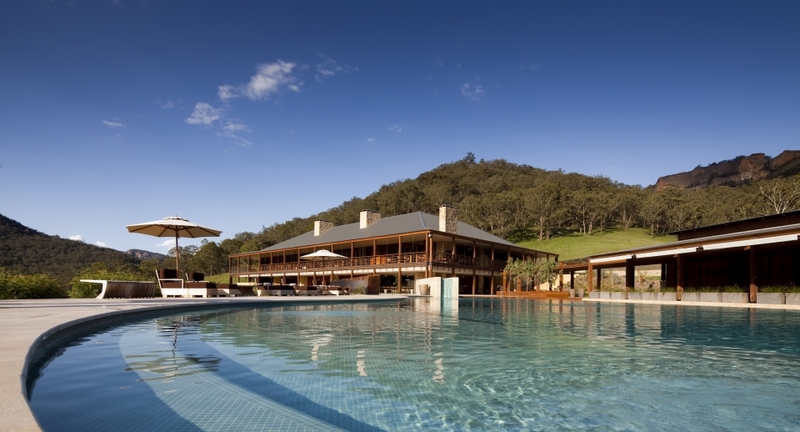 Lay back and enjoy the quaint setting of Wolgan Valley where your luxurious resort is surrounded by beautiful mountain ranges. 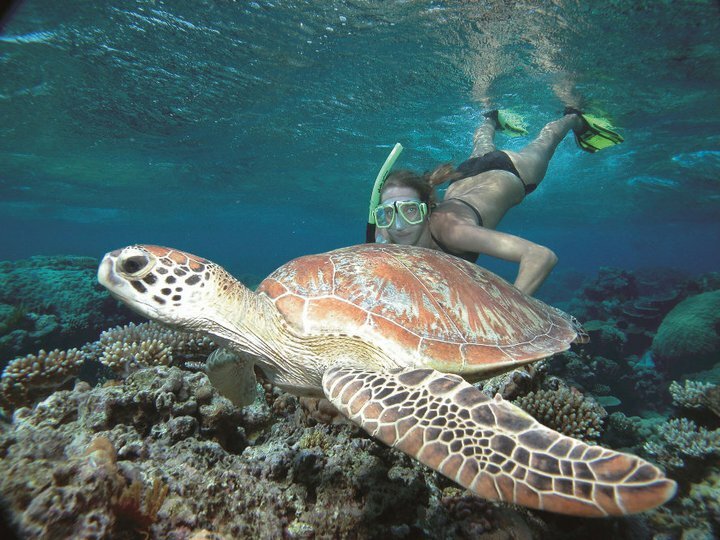 You will also get a chance to explore the Australian outback and dive into an aquatic adventure sailing to the Low Isles on the Great Barrier Reef. This vacation offers the perfect balance of rest, relaxation and adventure. What are you waiting for? 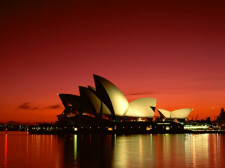 Travel by private car from the Airport to your vacation accommodation in Sydney, Australia. Allow a uniformed chauffeur in a luxury sedan drive you to your vacation accommodation in Sydney, Australia. 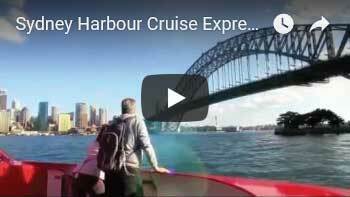 Your five star accommodation in Sydney for 2 Nights will offer you the magnificent views of Sydney Harbour. 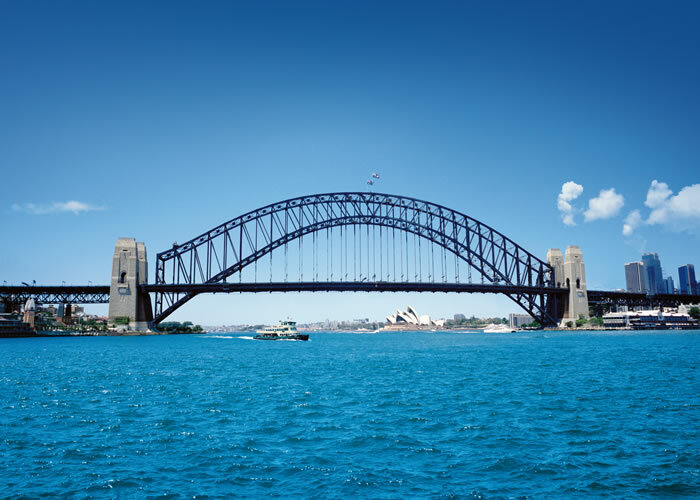 A modern high rise tower with spectacular views of the Sydney Harbour. 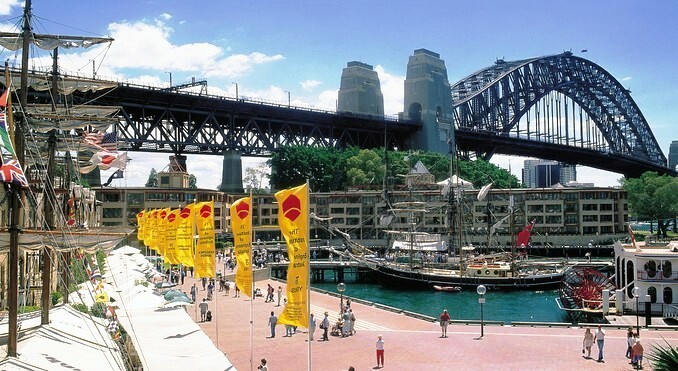 Your Accommodation is located at the fringe of historic Rocks area, near Opera House and the Central Business District, close to the Harbour Bridge, across from Bridgeclimb. 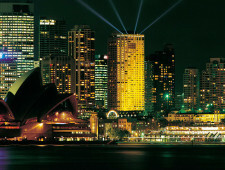 Guest rooms are some of the most spacious and luxurious in Sydney and offer spectacular harbour views. 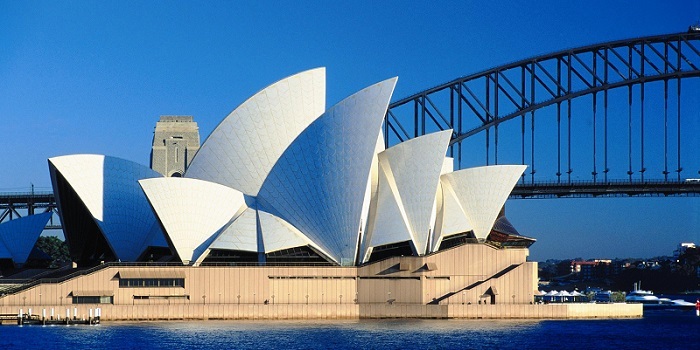 Enjoy a Spectacular performance at the Sydney Opera House. 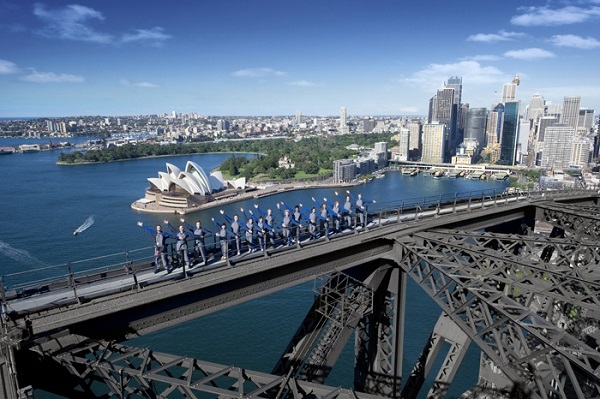 The Showcase package allows visitors to see a performance of choice and enjoy a drink during the interval under the sails of the Sydney Opera House. 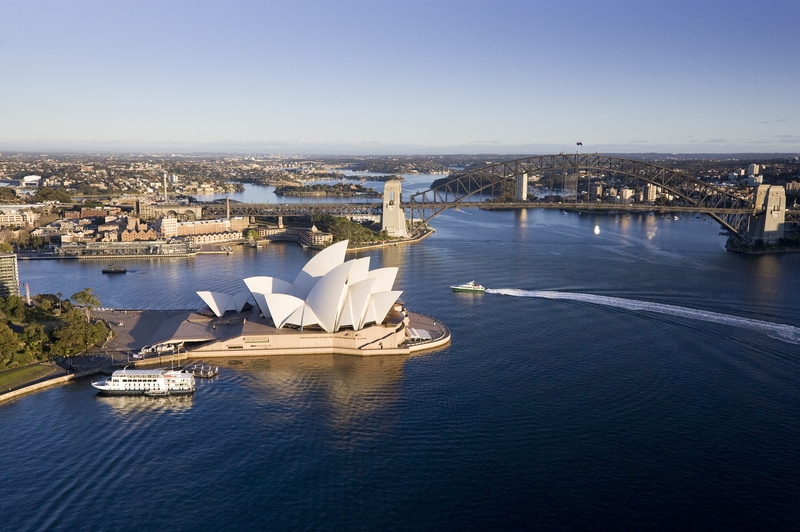 This package also includes a voucher for a guided tour of Sydney Opera House which can be redeemed at any point during your stay. 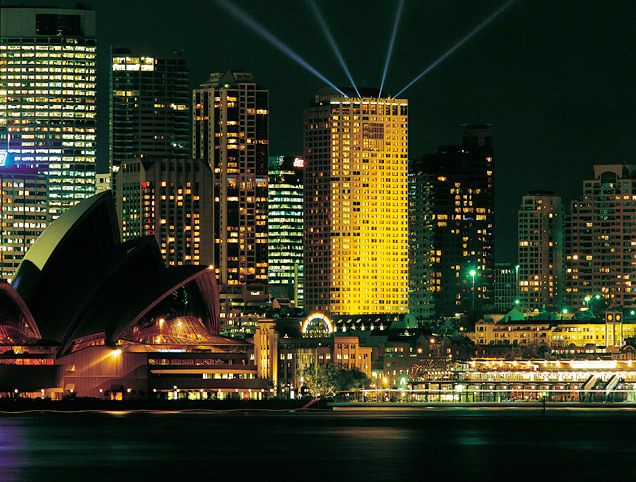 Priority access to best available performance tickets via the Tourism Reservations team, Personal meet and greet at SOH Information Desk by a member of the Tourism team, Voucher for a Guided Tour of Sydney Opera House, Drink at Interval (includes soft drinks, premium Australian wine and beer, as well as spirits and cocktails) and Exclusive Sydney Opera House value-add gift. 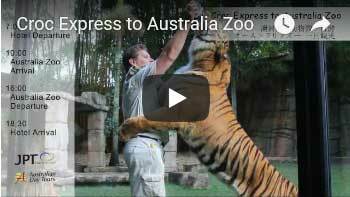 Discover Australia as you travel by rental car for five days. 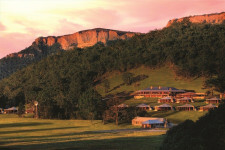 Self Drive from Sydney to your luxury farmstay resort. 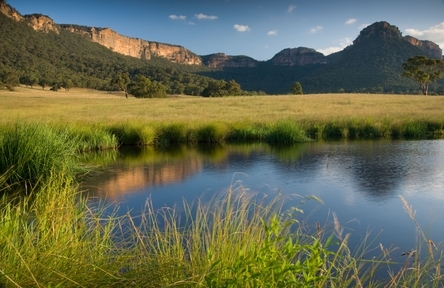 On your way to Wolgan Valley, be sure to stop by Blacktown. Enjoy a movie in one of only two remaining drive-in cinemas. You can also check out Ettamogah Pub where this is live entertainment every Wednesday, Friday and Saturday Night also Sunday afternoons. If you have kids this is still the place as they eat free Monday – Thursday and have a massive play gym, plus playstation room. 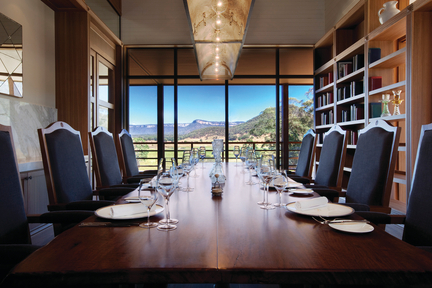 Using world-leading conservation measures, the original Homestead has been carefully restored to its former glory. 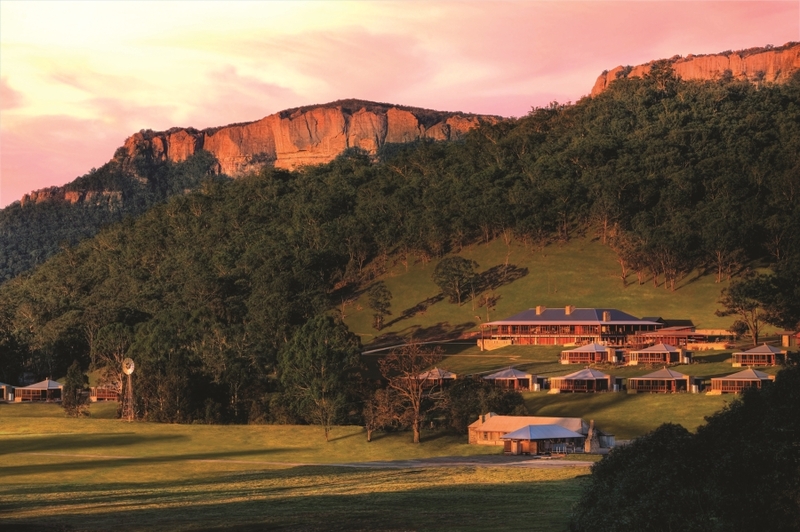 Encompassing 40 free-standing luxury suites, each with its own private terrace and swimming pool, the luxury resort was built using today’s cutting edge technology and yet perfectly echoes the original heritage architecture, allowing it to blend seamlessly with the vastness and dramatic beauty of Australia’s Hinterland terrain. Members of the local Aboriginal tribe the Wiradjuri, cleansed the site in an ancient ritual before work began at this Outback Farmstay. They have contributed extensively to the process of development and remain closely connected with the property and its history. Not a single tree was destroyed as a result of construction work, and the ground was meticulously studied for potential archaeological sites. 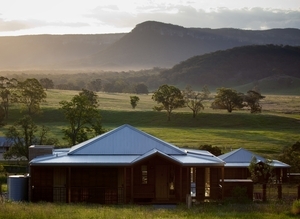 At your Outback Homestay, the atmosphere is relaxed and the service exemplary; from the very beginning, a stay at the resort will be unlike any other previous guest experience. 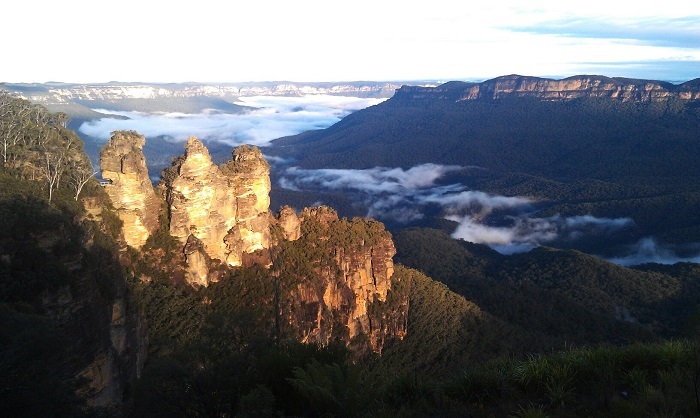 A rugged escarpment, dense with trees, bounds the Valley, and a remarkable bluish-green haze tinges the beautiful Australian vista in a ‘mie scattering effect’; reflecting light from tiny particles of eucalyptus oil in the air. 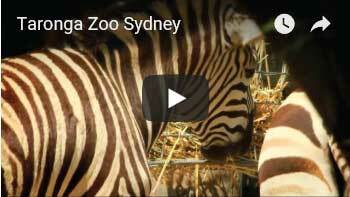 Self Drive from your luxury farmstay resort to Sydney. On your way to Sydney, be sure to stop by Blacktown. Enjoy a movie in one of only two remaining drive-in cinemas. You can also check out Ettamogah Pub where there is live entertainment every Wednesday, Friday and Saturday Night and Sunday afternoons. If you have kids this is still the place as they eat free Monday – Thursday and have a massive play gym, plus playstation room. 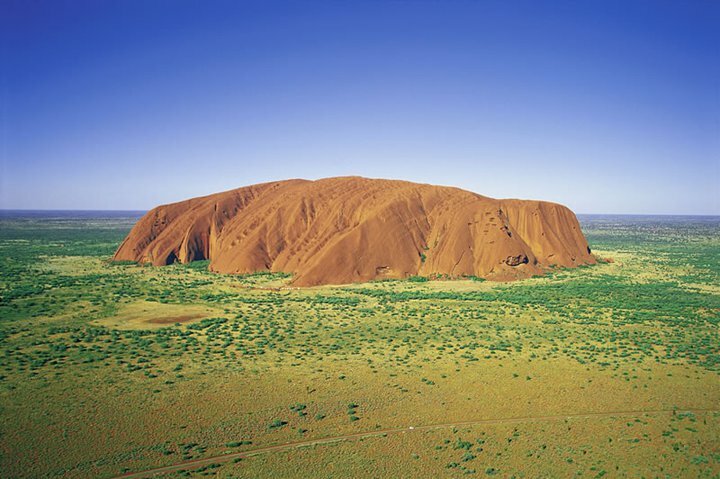 Travel within Australia by domestic air from Sydney to Ayers Rock, the Red Centre of the country. 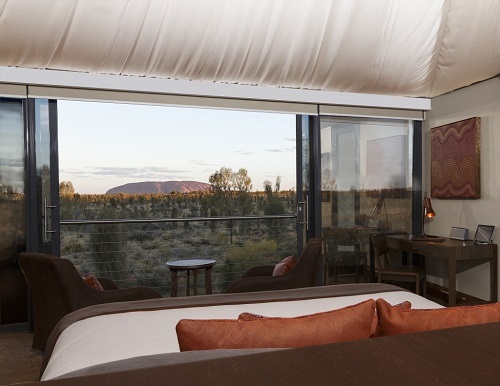 Your luxurious Ayers Rock accommodation offers immersion in the Australian outback, a true sense of stillness and beauty in this desert landscape, rich in cultural heritage and history. 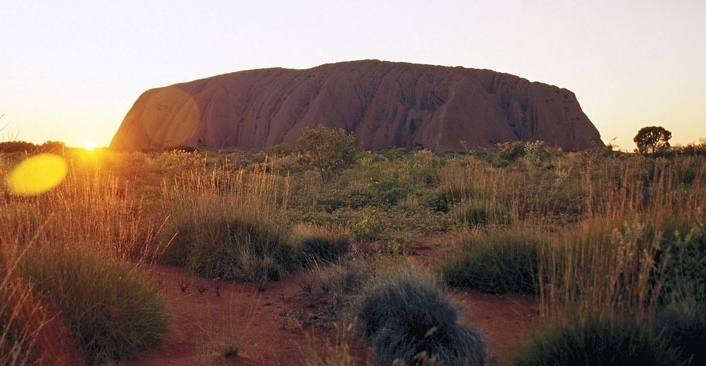 Explore the World Heritage listed wilderness of Uluru-Kata Tjuta and discover some of the ancient creation stories of the Anangu, the land’s traditional custodians. Spend time exploring the diverse flora and fauna of the desert and come face to face with this irresistible land with the lodge’s personally guided adventures. Table 131° – Dine outdoors and discover the wonders of the southern night sky at an exclusive venue among the dunes. Later, Longitude’s resident astronomer regales guests with tales of the Southerly constellations. Table 131° operates subject to weather and climatic conditions. Walpa Gorge & Kata Tjuta – An early morning expedition to Walpa Gorge among the dome formations of Kata Tjuta, to discover how eons of weathering and continental upheaval have created today’s landscape. Followed by a visit to the Cultural Centre. 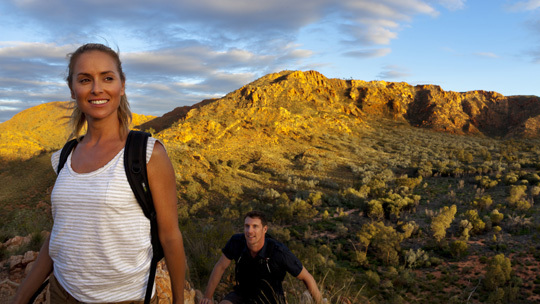 Mala Walk & Kantju Gorge – Journey to the base of Uluru to learn about the history of the Mala people. 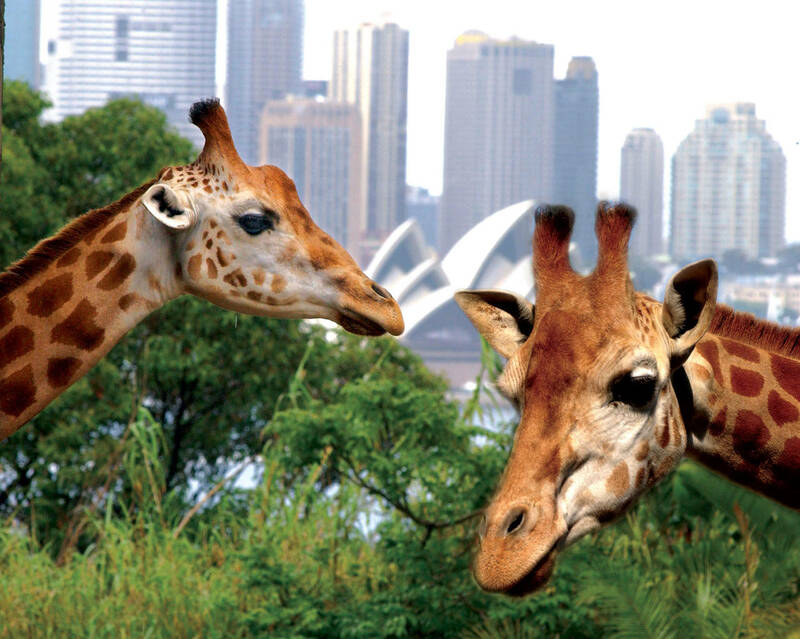 Marvel at cave paintings, sources of bush tucker and other important sites. 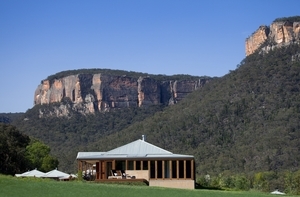 Enter Kantju Gorge at dusk to witness the gorge walls illuminated in the vivid evening light, enjoying sunset drinks and canapés in the silence and solitude. Mutitjulu Meander – Discover the peaceful Mutitjulu Waterhole and the sacred site of Kuniya Piti. During the walk, the Lodge guide shares an Anangu creation story, adding greater depth to the monolith’s striking features. In the spirit of the original pioneers, guests stay in canopied pavilions that seem to float over the rustred dunes. Luxuriously contemporised, today’s explorers are cosseted from the elements in surrounds that favour refined comfort over ostentation. Classic furnishings meld with indigenous textures to evoke a sanctuary of earthy elegance. A private glass wall yields unparalleled views of fabled icon Uluru (Ayers Rock). 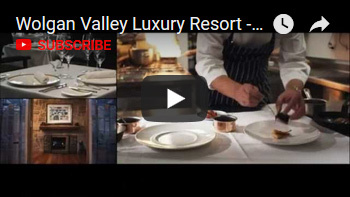 Exceptional cuisine celebrates a fusion of modern and local flavours. 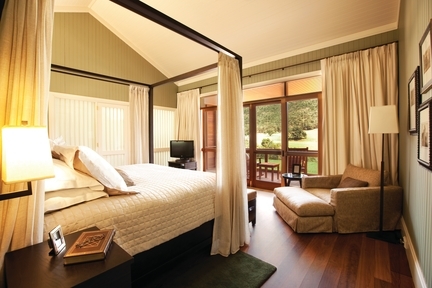 Enjoy an outback sundowner at the convivial open bar in the Dune House and dine under a glittering canopy of stars. Quieten to the night sounds of the desert and be mesmerised by the movement and songs of an ancient culture by firelight. Children 12 years and under are not catered for at this Accommodation. 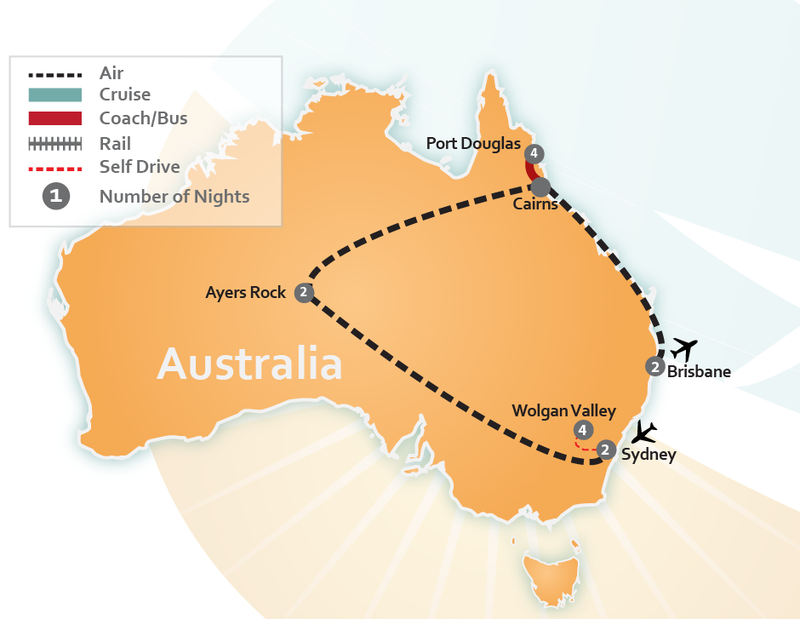 Travel within Australia by domestic air from the heart of the Outback, Alice Springs, to Cairns. 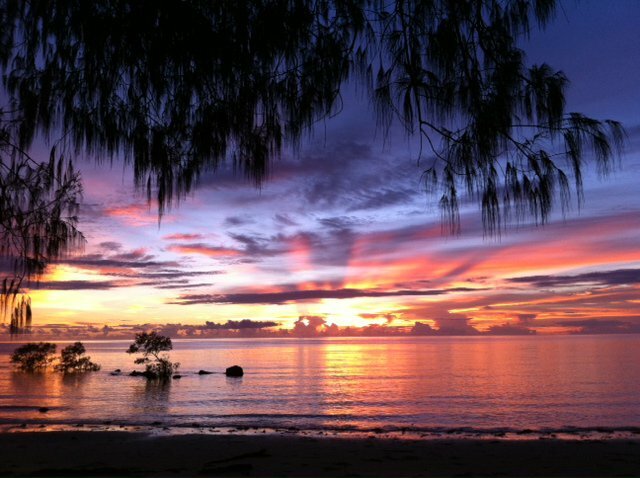 Travel by private luxury sedan from Cairns Airport to your vacation accommodation in Port Douglas, Australia. 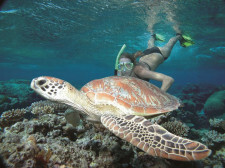 This Resort & Spa is the perfect place to visit the Great Barrier Reef, Cape Tribulation and Daintree Rainforest. Enjoy your 4 night stay whilst on vacation. 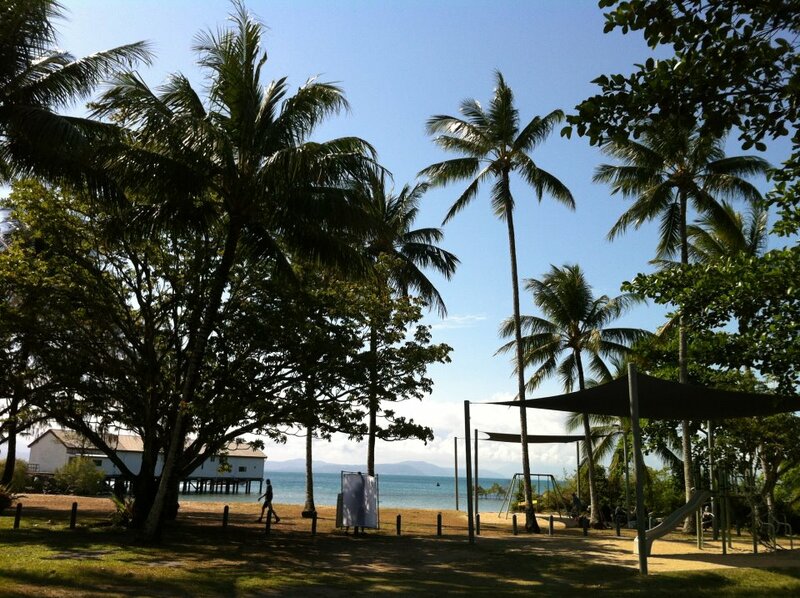 This 5 Star Port Douglas property is located in one of Australia’s most celebrated international tourism destinations. Nestled between Tropical North Queensland’s rainforest-covered mountains and the Coral Sea, This 5 Star Resort & Spa provides easy access to world-renowned natural attractions, such as the Great Barrier Reef and Daintree Rainforest, and the cosmopolitan dining, shopping and entertainment facilities of Port Douglas’s trendy Macrossan Street. Living in the blue lagoon are a large variety of reef fish including angelfish, damselfish, anemones, giant trevally, sweetlip, fusiliers and many green turtles are sighted daily. 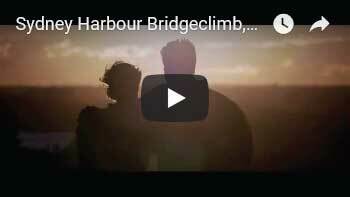 Be sure not to miss out on the Heritage Walk where you can learn about the islands history and environment and visit the lighthouse built in 1878. There are also a number of bird species on which you may encounter including pelicans, honeyeaters, white breasted wood swallows, mangrove kingfishers, reef egrets with sea eagles and ospreys wheeling overhead. Includes: Courtesy transfers from Port Douglas accommodation, relaxing sailing time, morning/afternoon tea, coffee, cakes and fruit platter, Alfresco gourmet tropical buffet lunch, glass bottom boat for viewing, unlimited access to Low Island, Heritage Walk, guided snorkel with marine naturalist, all snorkel equipment and tuition to include lycra suits and flotation devices, fresh hot and cold showers, spacious luxury interior with an air conditioned bar & saloon. Stop in for a bite to eat at Zinc, where the Great Barrier Reef is at its doorstep and the tropical spirit is embraced. Come and taste what locals and visitors alike have been raving about! 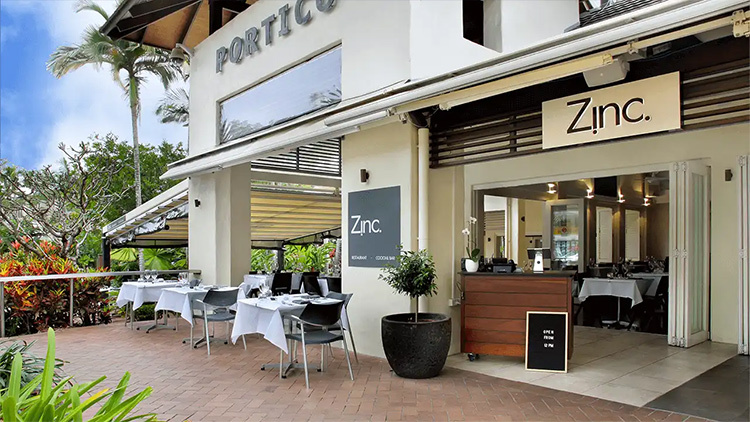 Zinc is contemporary dining with a relaxed coastal feel. Experience modern Australian cuisine made with fresh ingredients, such as local seafood, on either the outdoor terrace with views of Four Mile Beach or in the modern decor indoor dining area. 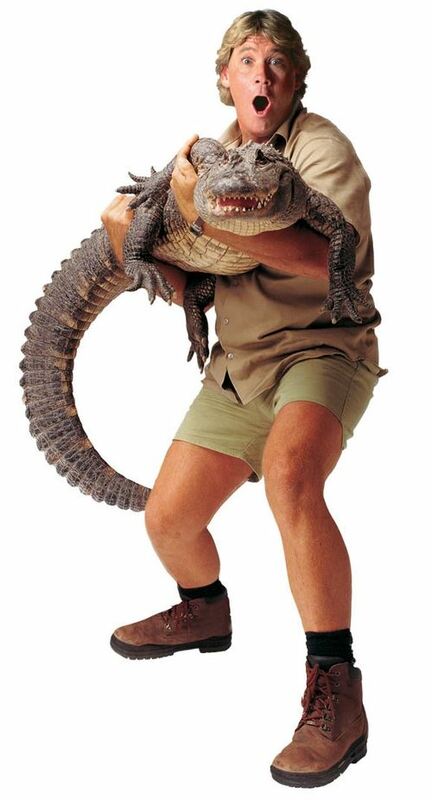 Zinc is home to the largest privately owned aquarium on the east coast of Australia. Zinc’s relaxed lounge bar features a large range of wines by the glass, over 70 cocktails, as well as over 110 spirits, liqueurs and a selection of cold beers on tap…perfect for that pre-dinner drink or after-dinner nightcap. Available Tuesday, Thursday & Saturday. Not Avail in FEB or MAR Flames of the Forest is not suitable for children under six. 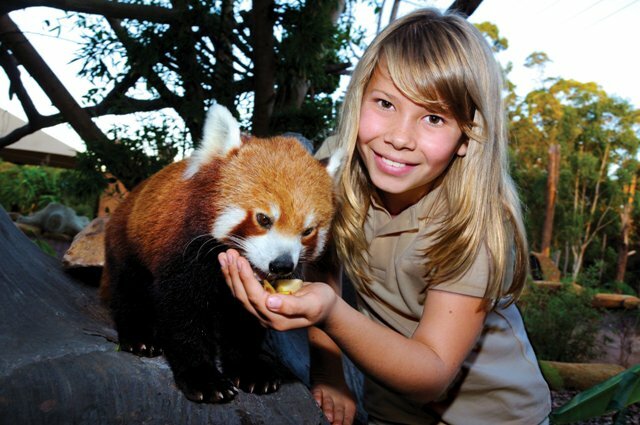 Travel along a scenic coastal drive to experience the wildlife, rainforest, rivers and beaches of the region. 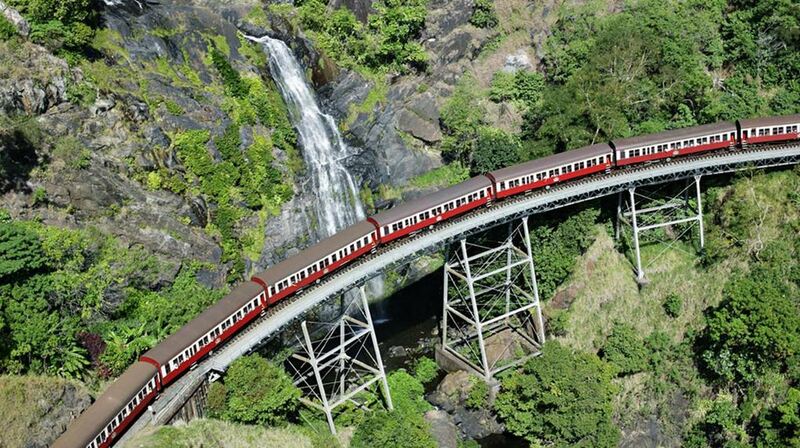 Your informative and knowledgeable driver/guide will collect you from your accommodation and travel one of Australia’s great scenic Highways before arriving at the Daintree River. Reach an understanding of this wildlife environment for one hour, habitat of birds, tree snakes, unique plants and of course the estuarine crocodile. 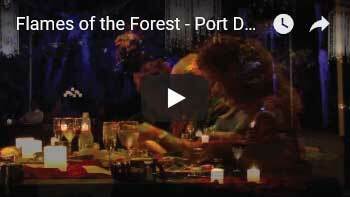 After winding through the rainforest of the Alexandra Range, enjoy this spectacular lookout over the Daintree River estuary, Snapper Island and beyond to the Coral Sea. 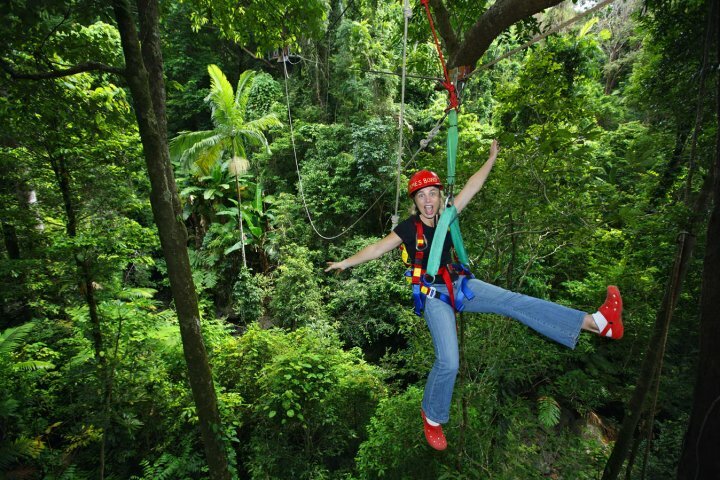 Walk on this world-renowned Cape Tribulation rainforest beach and admire the coastline and fringing coral reef from the Kulki Lookout. 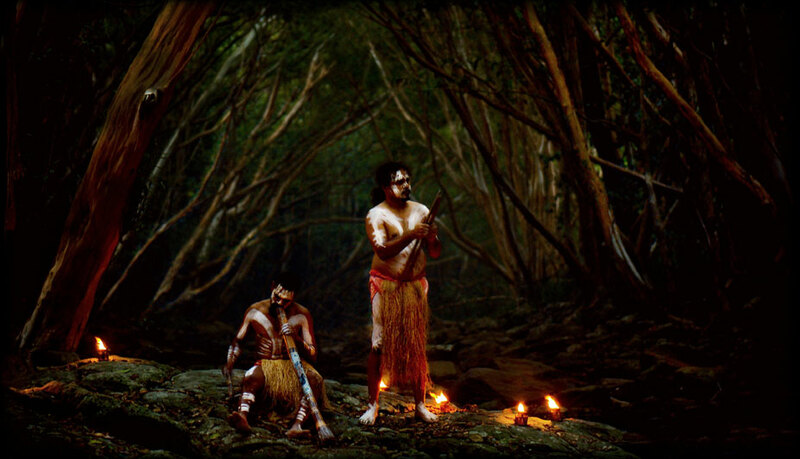 Visit the Mossman Gorge Gateway Centre and enjoy an Indigenous presentation by the traditional owners of the gorge, the Kuku Yalanji people before boarding your eco shuttle for the transfer into Mossman Gorge. Your driver/ guide will take you for a guided walk sharing their knowledge of this enchanting rainforest environment. 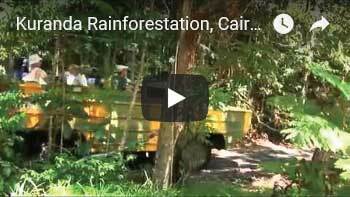 Learn about the fascinating secrets of one of the world’s oldest rainforests. 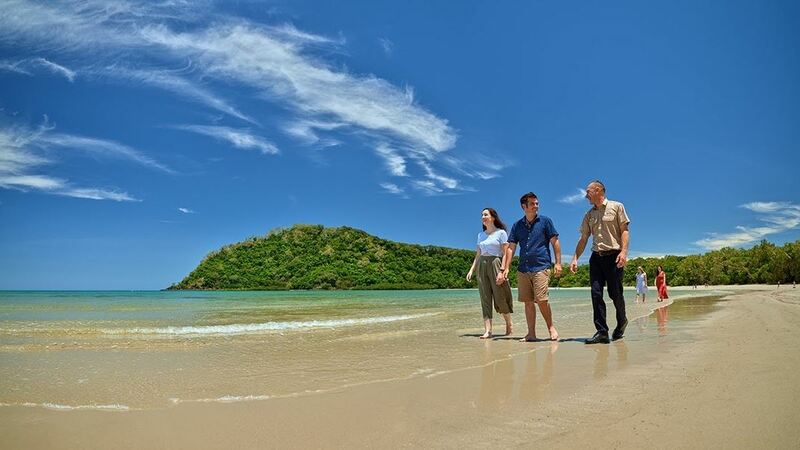 Travel by private luxury sedan from your Port Douglas vacation accommodation to the Airport in Cairns, Australia. 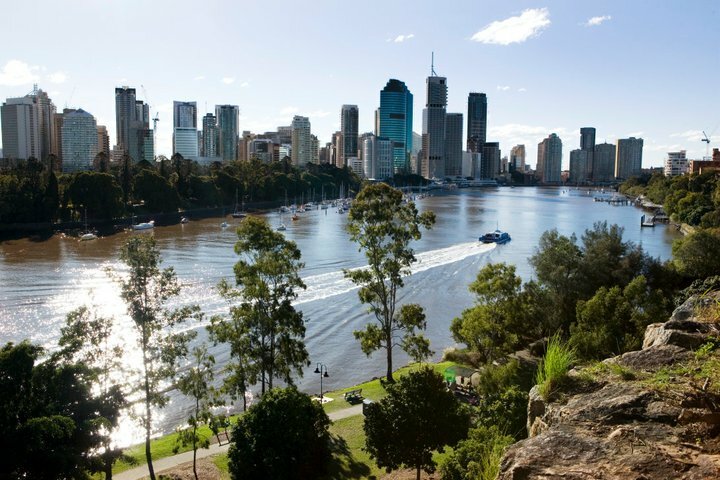 Travel by private luxury sedan from the Airport to your vacation accommodation in Brisbane, Australia. 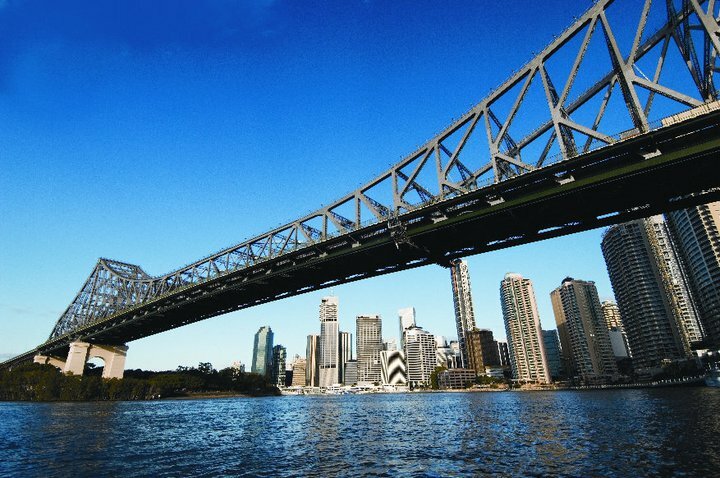 A private chauffeur will pick you up upon arrival in Brisbane, Australia. They will be holding a sign with your name on it. Travel to your luxury accommodation in Brisbane, Australia, where you will be staying whilst on vacation for 2 nights. Your luxury accommodation is conveniently located above Central Station. 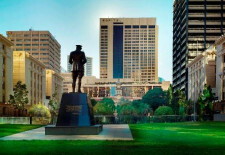 It is within walking distance to the Queen Street Mall shopping precinct, Treasury Casino, South Bank Parklands, Queensland Performing Arts Centre. 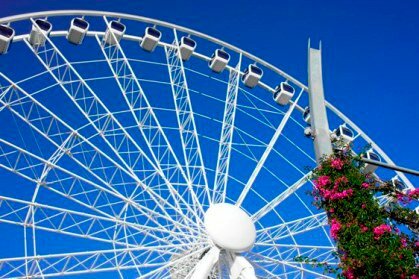 Standard services include: 24 hour concierge service, live entertainment, outdoor heated pool, and 24 hour in-room dining as well as currency exchange facilities and cleaning services. 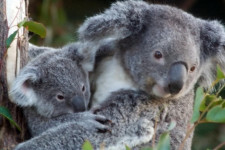 Take an informative and entertaining river cruise down the Brisbane River followed by 2.5 hours at The Lone Pine Koala Sanctuary where you can hand feed kangaroos and emus. Yes…and cuddle a koala! 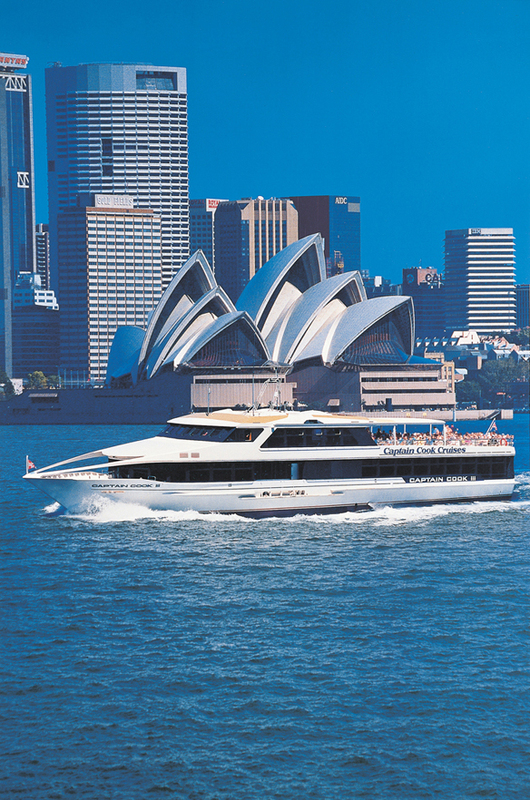 Board your river cruise vessel for an Aussie adventure like no other. 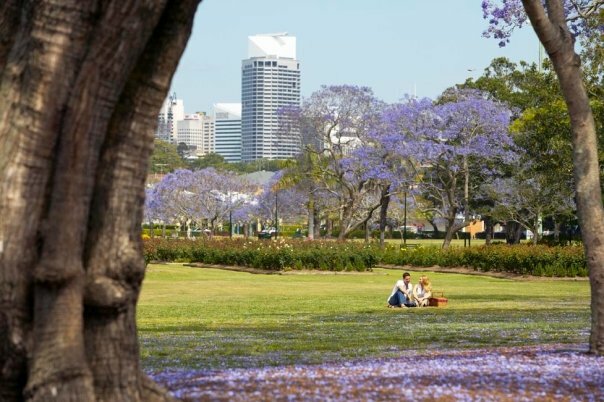 You’ll come face to face with a unique inner-city colony of fruit bats hidden among the mangroves, get up close and personal with Australia’s cuddliest creatures, and see breathtaking modern mansions and historic Queenslander homes along Brisbane’s sought after riverfront. 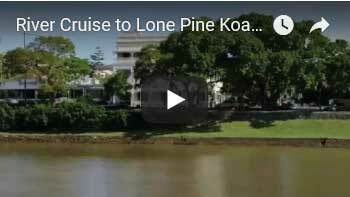 This popular journey has been taking visitors to Lone Pine for over 70 years and is a “must do” experience while in Brisbane. 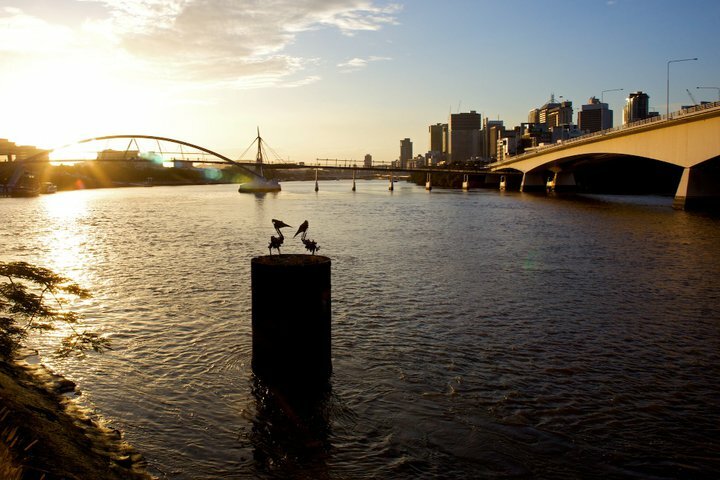 Travel by private luxury sedan from your Brisbane accommodation to the Brisbane Airport in Australia. 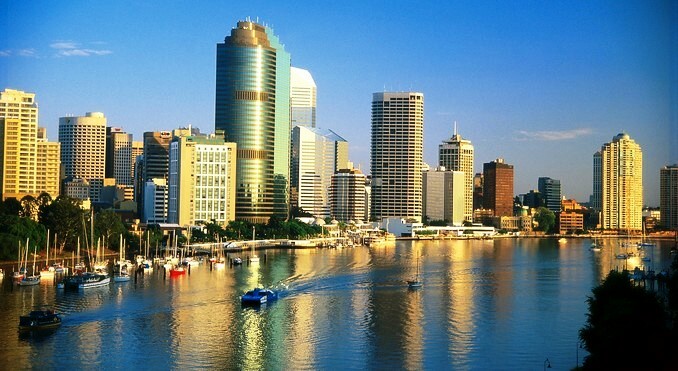 A private chauffeur will pick you up at your Brisbane accommodation and will drop you off at the Brisbane Airport.